Are you looking for a light and healthy lunch for yourself or your kids? Look no further. 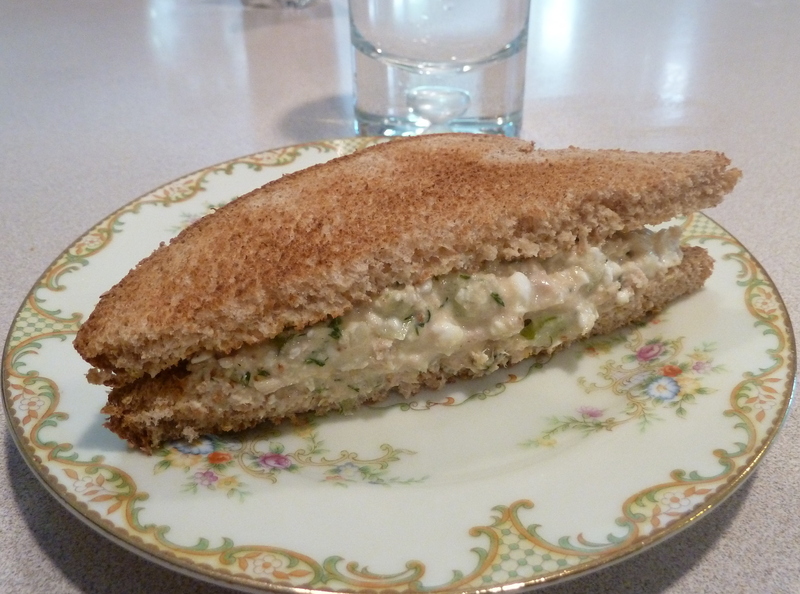 Send your kids to school with a perfect sandwich and save some tuna for yourself. 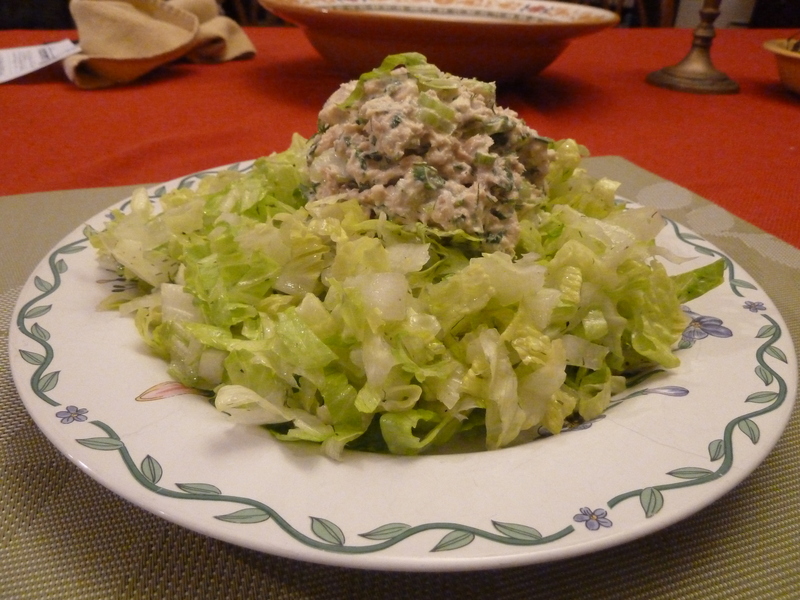 Tuna salad on a bed of lettuce is healthy, fresh and good for your diet. How to make: Combine all the ingredients. If the tuna is in water, strain it and a teaspoon of olive oil. Make a sandwich with toasted or non-toasted bread. Add lettuce and tomatoes if you want. 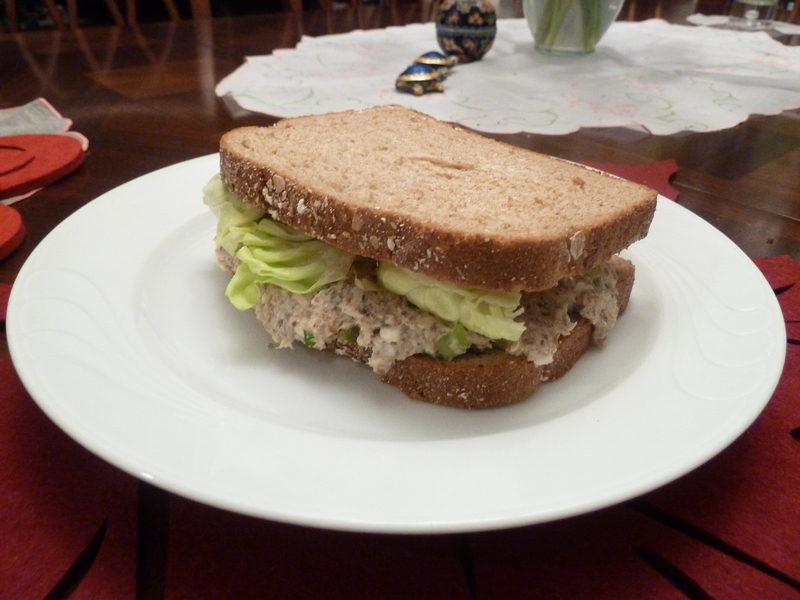 You can also serve the tuna salad on top of a bed of fresh lettuce. Perfect lunch! Credits: I found this recipe at simply recipes. Update: June 19th, 2012: Here’s another photo of the same recipe. This time the sandwich was made with toasted bread. Update: April 9th, 2014: Lettuce served with the tuna salad. This is a great meal. Cottage cheese? That’s a new one for me… what does that add? Thanks! Ash, I’m sorry it took a while to respond. This is my go-to salad because the cottage cheese make it much lighter and healthier and in my opinion tastier. I used it instead of mayo. Try it once!